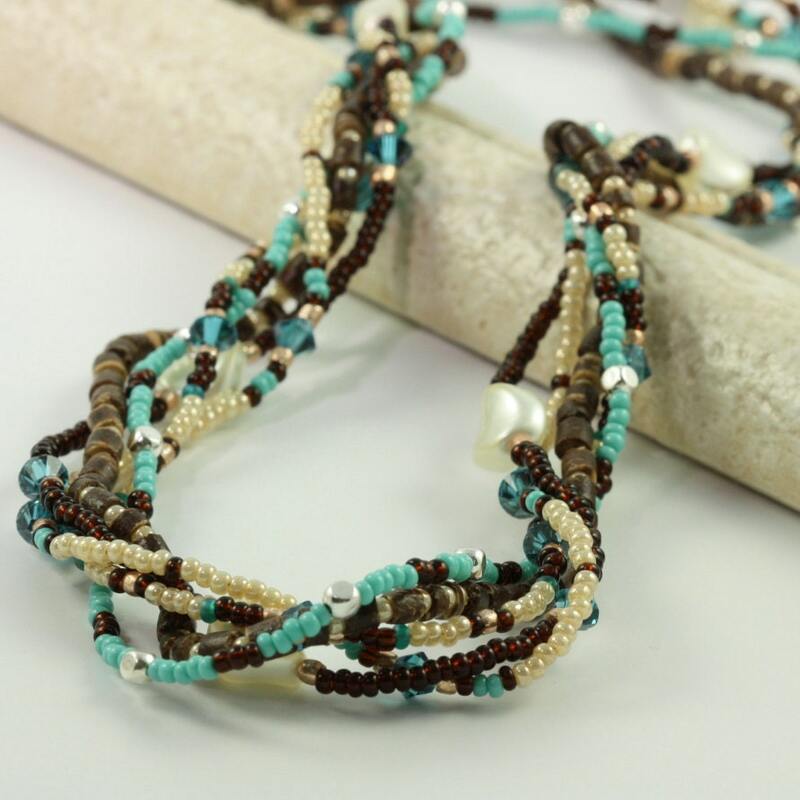 This multi strand beaded necklace is made with natural coconut heishe, cream colored Swarovski Crystal pearls, indicolite (teal blue)Swarovski Crystal bicones and lots of seed beads. The five strands come together at the top through sterling silver cones. The necklace has a sterling silver lobster clasp with a 2 inch chain so the length is adjustable. Necklace can be worn with or without pendant. You can also string the pendant on to a different chain or necklace that you already have. Length is adjustable from 18 - 20". These natural earth tones will go with anything! Your necklace will come with a pretty fabric drawstring bag for safe-keeping or gift-giving.